George Moore is managing partner of Ravensdale Capital, LLC, a fund that invests primarily in early stage IT companies with a focus on consumer data analytics and decision sciences. A pioneer in consumer information analytics and delivery technologies for business applications, until 2012 he was chairman and CEO of TARGUSinfo, a company he founded in 1993 and sold to Neustar in 2011. 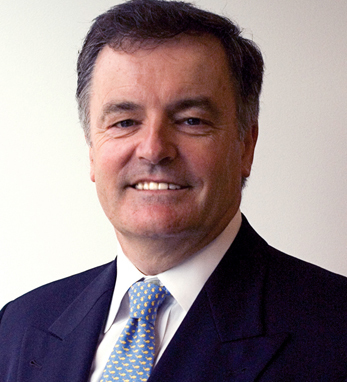 He is chairman of Erne Heritage Holdings and a member of the board of the New Ireland Fund. In 2007, he was recognized for his contribution to the Northern Ireland economy and his international work on behalf of all of Ireland with an Honorary CBE. He is a member of the Economic Advisory Board to the Prime Minister of Ireland, Northern Ireland Trade & Investment Council, The Flax Trust, and a trustee of the Northern Ireland Memorial Fund. George holds both Commerce and MBS degrees from the University College Dublin, an MBA and DBA from George Washington University, and an Honorary Doctorate in Sciences from the University of Ulster. He lives in Washington, DC with his wife, Angela, originally from Northern Ireland. They have three children.